APLA Health dental services include regular checkups and cleanings, X-rays, fillings, call for more information on services. Medi-Cal, for uninsured patients fees are on a sliding-scale basis, based on ability to pay. 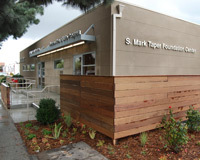 Do you have an experience with S. Mark Taper Foundation Center? Let us know about it.